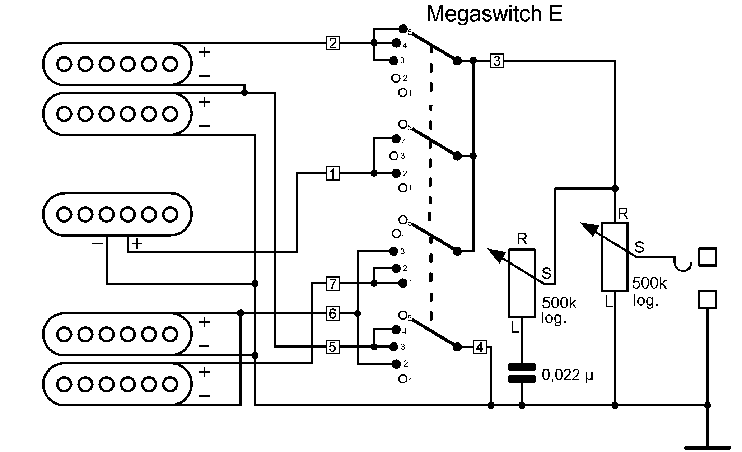 This is a variation of the HSH3 switchng system. 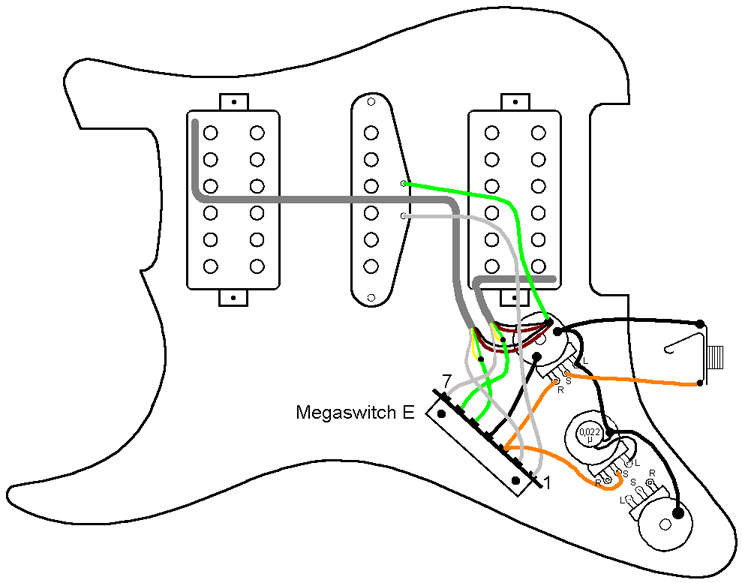 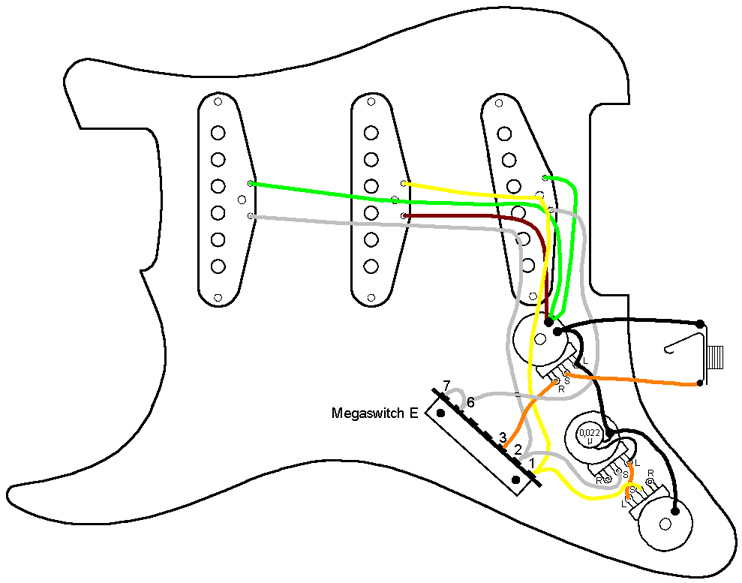 The positions 1, 2, 4 and 5 are as usual and in position 3, the inner coil of the bridge Humbucker and the outer coil of the neck Humbucker are switched parallel. 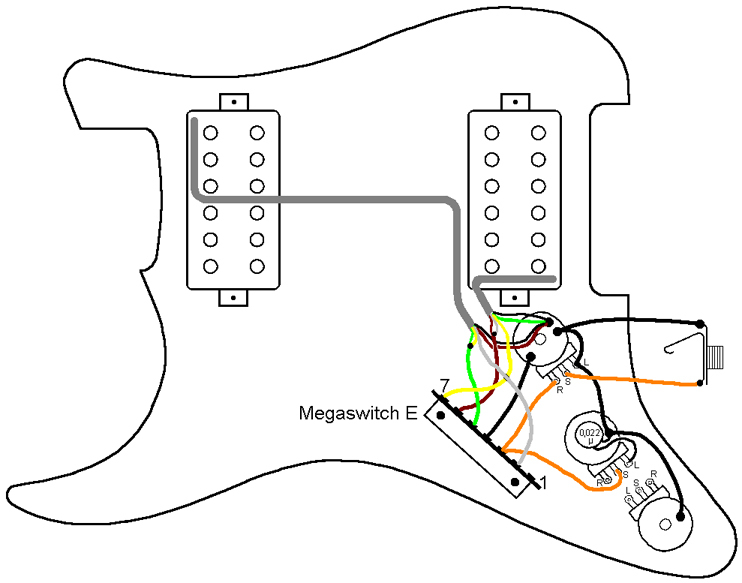 This results in sounds that are similar to a Telecaster, when both pickups are in operating mode. 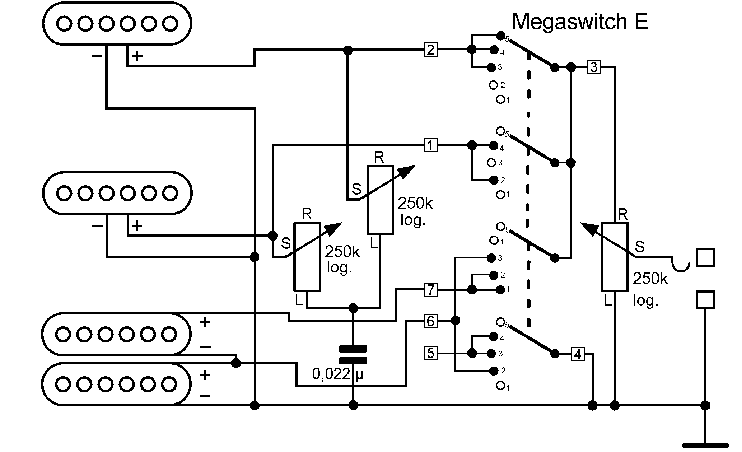 A buzz-free sound can be obtained in all positions; the following magnetic polarity is required - NS-S-SN or SN-N-NS. 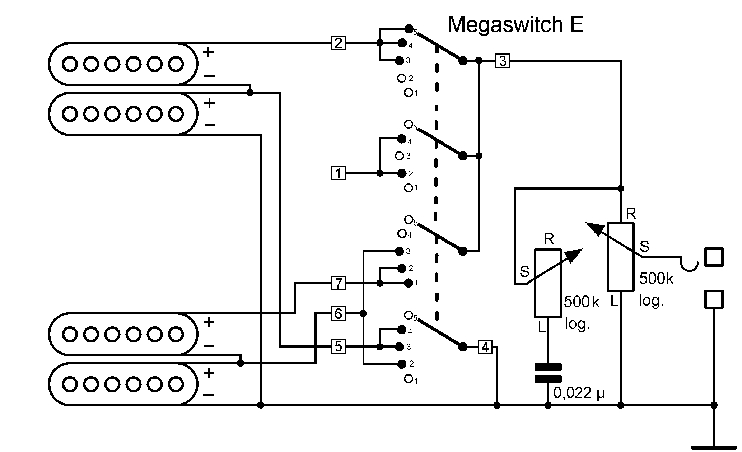 Here, Megaswitch E is in use. 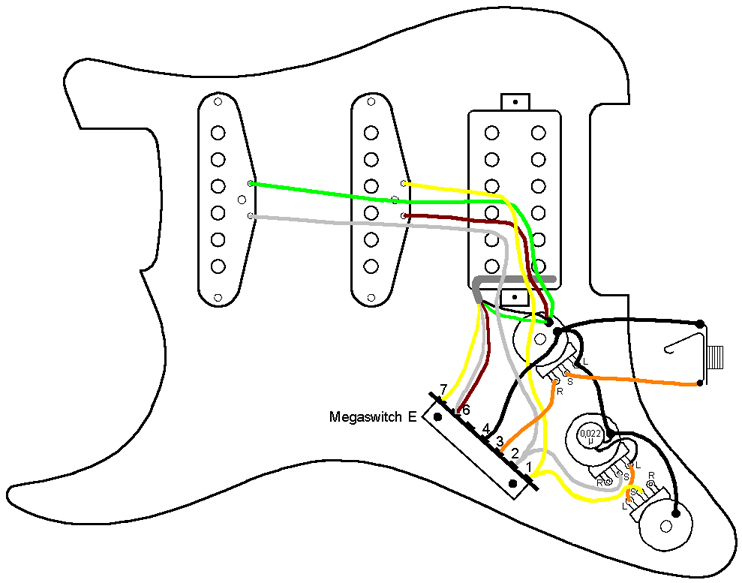 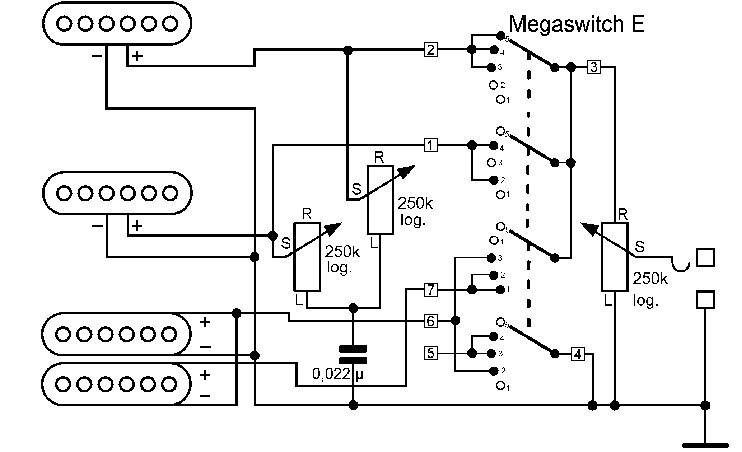 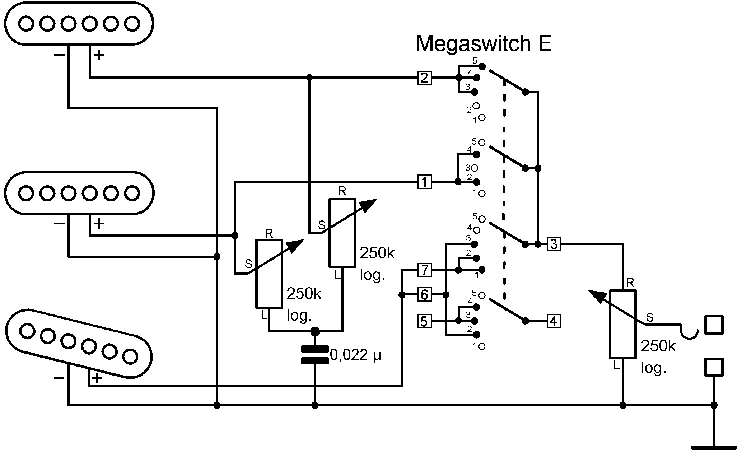 In this switching system, just a single tone control is advisable.